At Alta, we like it when Punxsutawney Phil sees his shadow like he did today on Ground Hog Day. Six more weeks of winter, or as Marcus says, six more months of winter at Alta (until the snow melts completely!) Phil wouldn’t have been able to see his shadow today at Alta as it is snowing, but we’re glad he saw it in PA. Yesterday the parking lot was dry as a bone but not today or tomorrow or the next several days, for that matter. Booting up in the locker room. 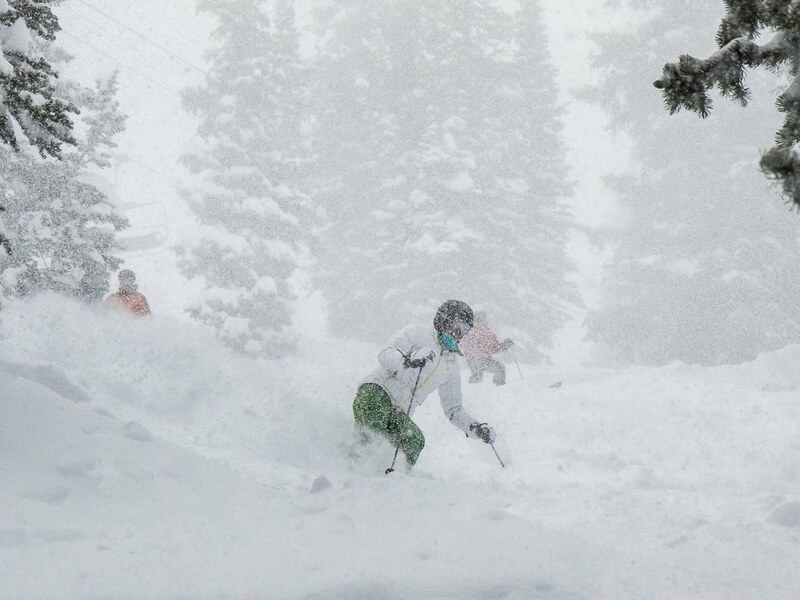 Skiing the deep powder at Alta in January. In January, Powder Tracks and Womens’ Ski Camp participants shared lots of smiles on the snowy skis days. Getting ready for the day after a hearty breakfast and hitting what seemed like bottomless powder, well, it’s something people remember for the rest of the season and it brings them back for more. 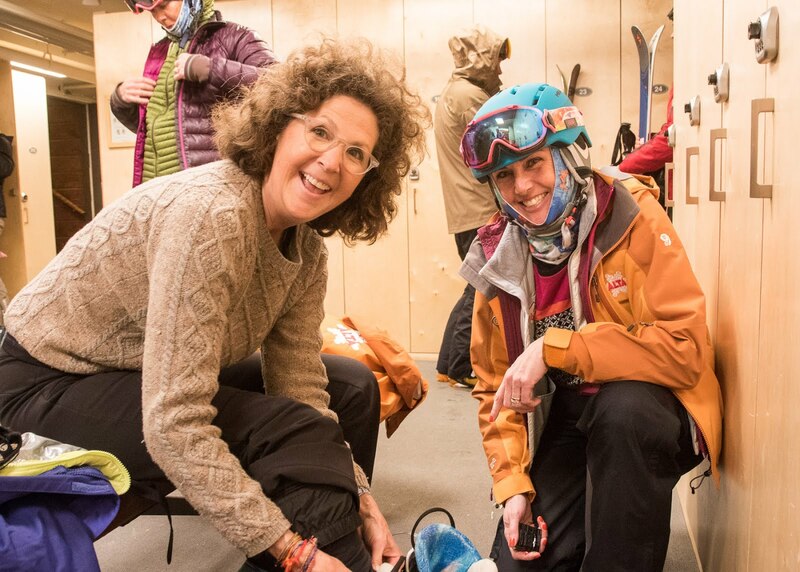 That’s what’s so special about the skiing here and the camaraderie that Alta Lodge guests share. 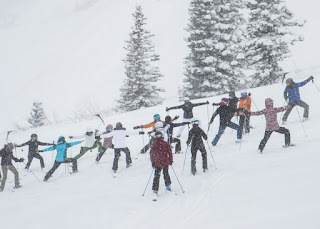 Snoga warmup on the hill before skiing.